Comfort-Gel ear seals with patented undercut design are 26% lighter and allow 30% more interior room for your ears for quieter, more comfortable flights. Will enhance comfort on all David Clark H10 series headsets. 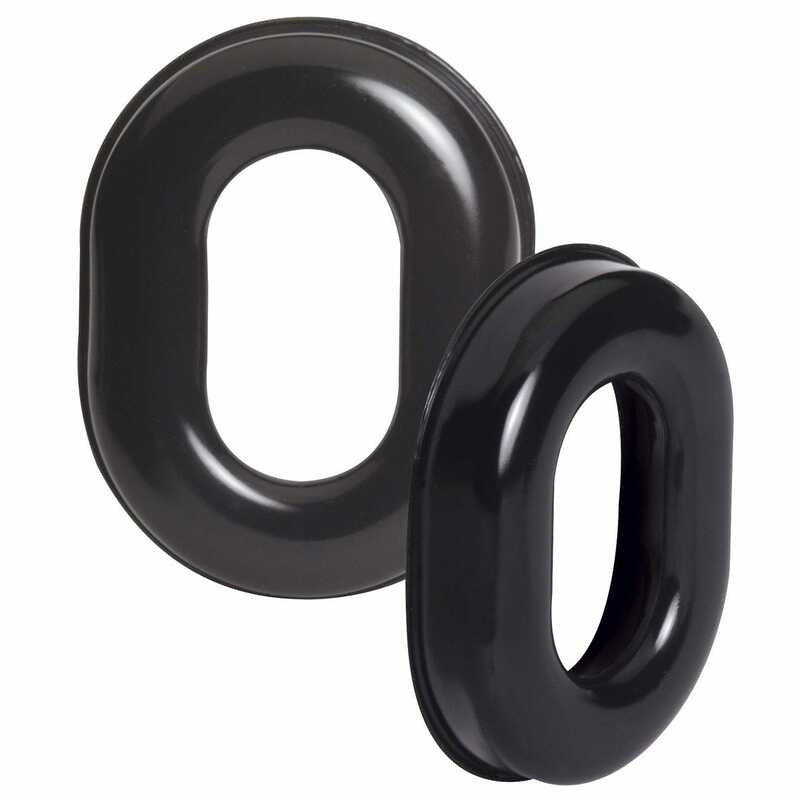 Sold as one pair of seals. This headset is just fabulous. In terrific shape, comfortable, works like a charm and extremely clear and crisp in communicating. I would highly recommend it to anyone. They work fine - they are ear pads, but they will never last as long as what they replaced which were 20 + years old. Pros: Great replacement for headset. Cons: Difficult to put on. Gives new life to old headset. The old ear seals burst (there was a type of oil inside, which ruined my shirt! ), so these were a great option to continue to use the headset. Pros: Comfort. Cons: Expensive. Can only buy two at a time. Pros: Very comfortable. Cons: A little pricey. Made my old David Clarks (with the original ear cushions) almost feel like new! Pros: Works as advertised and the warranty is excellent! Cons: Installing the Ear Seals requires a bit of ingenuity but can be done in about 5 minutes. I recommend the H10 series headsets and Ear Seals. Pros: They are a lot more flexible and moldable than some other ear seals. Which in turn blocks out a lot of noise. And when you are flying a helicopter, the less noise you hear is better. Cons: A little tight to put onto the headset but that is off-set by knowing they will stay on and not slip off accidentally. BEST ANSWER: I have the 10.34 and got these and they work. It's tough to get them on but better than having pink slime all over your ears. It seems OK. David Clark headset cups were interchangeable so, this is probably the correct part. Will these fit DC one X? BEST ANSWER: They are listed to be replacements for all David Clark headsets per the manufacturer. does this come with the foam/fabric liner that covers the ear speaker? BEST ANSWER: This item does not. The covers are item 1701A.